Huge thanks to my friends from Macmillan International for sending me a review copy and Macmillan Audio for letting me listen to the audiobook program of this title in exchange for an honest review. This did not, in any way, affect my overall opinion of the book and/or the story. When I first read the synopsis for Comics Will Break Your Heart, I thought that it was just my typical romance story that was filled with angst and witty banter that comes with the trope. I mean, what was I to expect? There’s a heroine, a love interest, and an age-long conflict / tension. That, to me, screamed HATE TO LOVE. Is it just me? 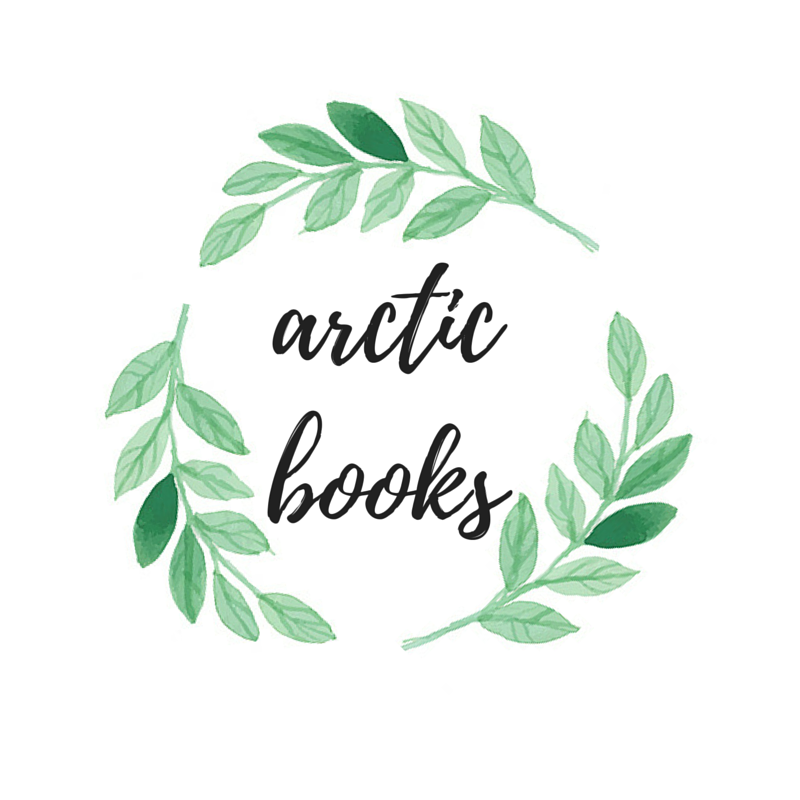 After a more thorough research, though, I found that it was an easy favorite for contemporary readers who are in the market for stories that were equal parts sweet and savory, but all in all romantic. And that’s exactly what I thought when I read it. Read on to know my thoughts about Faith Erin Hicks’ new book. I see no point in denying that I came and stayed for the romance aspect of this book. Miriam’s grandfather, Micah Kendrick, co-created the famous, crowd-favorite comic, the TomorrowMen, with Joseph Warrick, who happens to be Weldon’s grandfather. And after a messy legal case that lasted for years, the Kendricks lost possession of the said comic, leaving Mir and her family with practically nothing. Mir had every right to avoid Weldon just because of the looming history that their families undoubtedly share, but fate obviously had other plans for them. Once they met, sparks were literally everywhere. And I very much appreciated the fact that lots of forces were driving them apart, but against all odds, they still found ways to be together. (Wow, that sounded cheesy, but I CANNOT HELP IT, I’m sorry!) I enjoyed reading this love story not just because it was sweet and romantic. The whole narrative is original, and I feel like I’ve never read anything quite like it. Their banter was also enjoyable to read, paving the way for me to fully appreciate this rom-com. The A+ family dynamics were quite noteworthy too! Mir’s parents, Stella and Henry, were supportive, resourceful, content, and frugal, and I actually felt like they were Filipino parents just because of the traits that they possessed. There’s an admirable thing in living a simple life and I can’t help but commend them for it—even though, just like Miriam, I have an undeniable need for reliable internet. And even though they weren’t fully able to pay for every single thing that Mir wanted, and yes, I’m talking about a secure college plan, they still made it a point to instill her with good values and show their love and support in what little way they can. As for Weldon, the fact that he came from a broken family added a new perspective and a lot more depth into the story. I appreciated that, even though he was practically banished to an isolated area in Canada for most of the story, he learned to accept and love it in the end, turning a punishment into a positive thing, and he even found love in the process! As for David and Emma, Weldon’s parents, they might not have lots of exposure, but I knew that they had their own battles to conquer and so I loved their presence all the same. Another thing that I loved about this novel was the fact that it tackled the hardships that come with being practical and dreaming big, especially in terms of tertiary education. Lots of students, whether they be Filipino or not, are confused as to what they want to do after high school. The future can sometimes be a scary topic for lots of people, especially for the youth, and so I very much appreciated the way that this was somehow brought to light through Miriam and her struggle in finding and honing her passion. There’s a certain part of the story that shows just how conflicted Miriam is about what she’s going to do after HS, and even though she had her heart set in studying out of province, she still didn’t have any concrete plans as to what she actually wanted to do and pursue. However, just as I predicted, she later on works things out for herself, ensuring an exciting future for herself. In my own personal way, I felt like this was the author’s way of telling her readers that we don’t need to think about stuff too far ahead and sometimes, it’s okay to go into the future without well-thought of plans. Life’s all about experiencing the ups and downs in making decisions and that’s what makes it fun and memorable. Thanks to the generosity of the people from Macmillan Audio, I was also approved to listen to the audiobook program of Comics Will Break Your Heart in advance as narrated by Carly Robins! Now what I absolutely adored about the program is that the narrator did such an amazing job at breathing life into every single character in the story. From Mir, to Weldon, to Stella… Name it and Carly Robins probably gave him / her a unique voice. I breezed through it because I easily fell in love with her parlance and diction and I was amazed at how she turned all of the confrontation scenes into such lively and tense moments. Have YOU read any book by Faith Erin Hicks yet? If so, then what book by her would you say is your favorite? Let me know what you thought down below in the comments section! 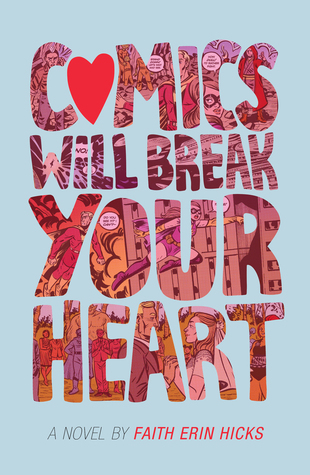 And if you haven’t read COMICS WILL BREAK YOUR HEART yet, be sure to grab yourself a copy as soon as possible and come back here to discuss! Faith Erin Hicks is a Canadian writer and artist. She worked in the animation industry for several years before transitioning into writing and drawing comics full time in 2008. She started making comics “for fun” and putting them on the web when she was in college. Her first published work was Zombies Calling (SLG Publishing) in 2007. Since then, she has published a number of other graphic novels, including The War at Ellsmere (SLG), Brain Camp (with Susan Kim and Laurence Klavan, First Second Books), Friends with Boys (First Second Books), Nothing Can Possibly Go Wrong (with Prudence Shen, First Second Books), The Adventures of Superhero Girl (Dark Horse Comics), The Last of Us: American Dreams (with Neil Druckmann, Dark Horse Comics), and the Bigfoot Boy series (with J. Torres, Kids Can Press). She won an Eisner Award in 2014 for The Adventures of Superhero Girl.